​Ally Invest is a leader in retail brokerages for Americans and international traders, as it offers a wide range of both self-directed and managed investment products with some extraordinarily low commissions for traders and long-term investors. A considerable amount of products and services make Ally Invest one of the most popular brokerages in the United States, as it has a significant online banking presence and auto loan division backing it financially. The wealth management and brokerage ​account offer plenty of self-directed and managed investment products for any level of investor, with varying degrees of professional help available. There are over 250,000 customer accounts that total 4.7 billion in assets and growing as of early 2018. Ally Invest has been around for several years now and has simply been an extension of a large bank that has had an online presence for even longer. Simplicity and straightforward investing are what you can expect here. 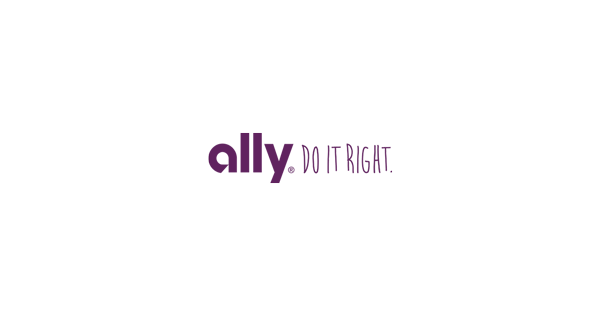 Continue reading the Ally Invest review. ​The Ally Invest trading platform provides charting capabilities and a quick glance at your trading positions. The platform is more suitable for investors instead of active traders. As we will see later in this article, commissions are relatively cheap for an investor, but short-term traders have better alternative brokerages like Interactive Brokers. The trading platform is web-based and allows you to look at your investments with any web browser that has access to online communications. It also allows you to look at a profit/loss graph, watch lists, research, option chains, and mediocre minor features. The platform has won several awards from Barron’s, stockbrokers.com, and Nerd Wallet. There is also a mobile version that is stripped down with basic functionality to monitor positions or perhaps trade longer-term types of trades. On you mobile phone you have access to your portfolio and account everywhere, any time - to manage your account and to execute your trades ideas across the devices of your choice. Streaming Charts: Ally Invest provides six different kinds of charts including mountain, bar, candlestick and line for more than 90 different kinds of chart studies and drawing tools to analyze the stocks' performance, for example the performance of stocks, indices and ETFs. Users may adjust the settings to their personal preferences and use interactive charts for studies and prices. Profit / Loss Calculator: ​A helpful tool be completely aware of the realistic profit and loss potential of an option trade before it is placed. It shows how the result may change because of fluctuations in time and volatility. Market and Company Snapshots: A tool to show what is going on in the market, especially regarding securities. It contains market news and stats, detailed metrics and detailed insight into companies worth watching. Probability Calculator: Helpful for using the implied volatility to see the probability of reaching a target, to use before placing an order. Option Chains: ​Highly advanced option chains make it easier to execute trades including complex multi-leg spreads. Watch-Lists: Watch-lists to follow the market data and the tabs on certain groups of securities. Market Data: ​All kinds of data of the company of choice, llike charts, quotes, dividend data, low and high prices, news, overall options summaries, peer performance comparisons, historical quotes and more. Ally Invest allows the trading of stocks and ETF markets, commission-free ETFs, options, bonds, mutual funds. And Ally even offers Forex and futures trading if you choose to get involved with that, although that is through Ally Invest Forex which would be a separate account. The ETF and stock markets revolve around US markets only, as it is a US broker. If you are looking for global markets, Ally Invest is probably not going to be for you. Because Ally focuses on the average investor and offers a lot of insight for those who aren’t necessarily financially savvy when it comes to stock markets around the world. There are foreign companies available through, but those are only the ones that offer ADRs, or American Depository Receipts, which are merely stocks that trade in the United States but represent a specified number of shares in a foreign corporation such as Alibaba from China. One of the great things about Ally Invest is that they will automatically make an investment a DRIP, which stands for Dividend Reinvestment Plan. As long as the security is priced at four dollars or more, and trade on a major exchange they can be automatically reinvested every time you get a dividend. This is a great way to build up a larger portfolio without putting a lot of thought into it. Think about your great uncle who bought Coca-Cola shares in the 50s and build up that massive portfolio over the decades. The Managed Portfolios can be tried with a minimum investment of $ 2,500. Ally Invest promises low costs compared with other offers and diversified exchange-trades funds (ETFs). While Ally Invest offers excellent commissions and fees for an investor, it’s not for the day trader. For example, the standard pricing is $4.95 per stock or ETF trade, which for a larger investment brokerage is rather good. In fact, it’s cheaper than most of the other major brokerages in the United States. If you have 30+ trades per quarter or a trade balance of $100,000 or more, you can qualify for Ally Invest Select Pricing, which then makes your trade commission $3.95 per trade. Keep in mind that this is per side, meaning that you pay these fees for the open of the trade, and the close for the trade. With the standard account, you would be looking at $9.90 total. If you are a day trader, this isn’t going to work, because it will eat far too much of your profits. However, if you are buying investments that you plan on hanging onto for quarters, years, or even decades, then it makes very little in the way of difference. There are some no commission based ETFs out there that you can trade without paying a commission. There is a select list that you will need to check periodically, as it can change. At the time of the review, most of these were Wisdom Tree based, with a few iShares also. Options markets are covered as well, with the standard pricing charging $4.95 per turn, plus $0.65 per contract. If you were to buy 10 contracts in the options market, you would be looking at $11.45 per side, certainly not the cheapest for short-term traders. However, if you qualify for Ally Invest Select Pricing, then it becomes $3.95 per side plus $0.50 per contract. Bond pricing is relatively straightforward, charging just one dollar per bond with a minimum of $10 per order. Mutual funds (no-load) are $9.95 per trade, and if you have a margin account, interest rates start at 5.25%, working all the way down to 9.75%. One thing that you should be aware of is that the minimum amount to open up a trading account is $2500 if you are looking for a managed account. If you are opening up a self-directed account, there is no minimum. Ally Invest offers significant research, for all traders, including some of the most followed analyst on Wall Street. There is an Education Center, which gives traders a bit of help when it comes to not only trading but the overall attitude of traders in general. There’s a blog, free trading courses, articles on trading, stocks, bonds, options, mutual funds, and how to go about saving for retirement. The blog reads like a magazine, which helps people ask a lot of the right questions such as “Are options right for me?” There are also tools such as a CD Letter Tool, Wallet Wise - a proprietary system that they offer when it comes to banking and investing, budgeting, credit, and other areas of finance. That being said, as far as technical tools are concerned, the educational section is rudimentary at best. This is not a place where you are going to learn how to become a top-notch technical trader based upon charts, but there are plenty of free courses available online to cut your chops that. Customer service at Ally Invest offers phone support, with 24/7 availability. Because of this, you should never have trouble reaching the broker, and if you choose not to make a phone call, you can email Ally Invest, as well as online chat. On the whole, Ally is easy to reach and very accessible for any questions you may have. Aside of the caution interested users are invited to check out Ally Invest's background at the FINRA's Broker Check. Thus the first impression is an overall positive one. The next step shall be to see what kinds of services Ally Invest is offering and what these services cost. Another point in favor that none of the other providers seem to offer is the account protection at Ally Invest. As a member of the SIPC (Securities Investor Protection Corporation), Ally Invest guarantees that customer claims up to $ 500,000, including a maximum value of $ 250,000 for cash claims, are covered. This is possible because the SIPC protects your funds should Ally Invest fail. Please not that this does not cover possible losses due to the investor’s strategy! The platform provides a direct link leading to detailed information about the SIPC protection. In addition to this, Ally Invest has a coverage of up to $ 37.5 million that includes up to $ 900,000 in cash with an aggregate cap of $ 150 million. And even though this should be clear, Ally Invest adds the information that this protection does not cover futures and forex trading. Ultimately, the Ally Invest brokerage is an excellent place to do just that: invest. This is not a place where traders are going to come for day trading the markets because the fees would eat you alive. That’s not a knock against the broker. It’s just that it serves an entirely different function. It’s about customer service and ease of use more than anything else. The average day trader won’t need a lot of the handholding that a place like Ally Invest will offer. So, therefore, they can get better fees as the overhead for a bare-bones brokerage firm that focuses on speed over research will be able to offer. If you are looking to invest for the long-term, Ally Invest has plenty of tools for you to calculate what you need, as well as where you may wish to be. The ability to automatically reinvest in a stock with your dividends, regardless of the stock as long as it’s more than four dollars per share is a huge bonus as well. This is one of those brokerage firms that is going to be excellent for an IRA or another type of “buy-and-hold” type of scenario. However, it also gives you the functionality to do something like selling a covered call, allowing you to pick up some premium in the options market for an underlying security that you own. If you find that currencies or futures markets may be a possibility for your trading strategies as well, you can open up another account through Ally Invest Forex to take advantage of those markets as well. Ally Invest is a member of the SIPC, which is the Securities Investor Protection Corporation, covering customer claims up to $500,000, including a maximum of $250,000 for cash claims. Ally Invest also has an additional coverage of up to $37.5 million including up to $900,000 in cash with an aggregate cap of $150 million. In other words, you are well protected, but it should be kept in mind that this protection does not extend to the futures/Forex account. Beyond that, it’s an American brokerage, so obviously it is under the auspices of all of the protections and regulations that investors in the United States deal with.